Alone or in small groups, eyes fixed on the horizon, looking towards Santiago de Compostela, pilgrims continue to follow the GR65 and 651 which lead towards the sacred city. 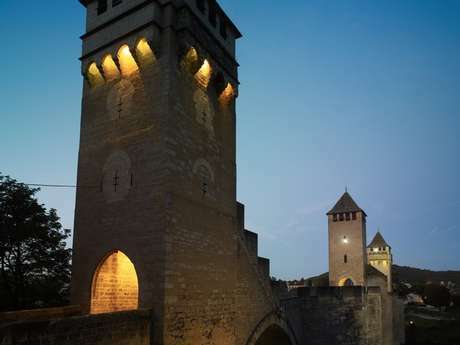 Via the Lot or the Célé valley, two itineraries cross the département, two routes which, leading from cathedrals to abbeys, fords to Romanesque bridges, bring people together in one single communion. Each person lives according to the rhythm of his/her discoveries and of visiting the sites s/he goes through. But there are also the humbler ones, villages which sing of the countryside and its forgotten heritage. Béduer and the Château de Barast, Gréalou and its Romanesque church, Marcilhac sur Célé and its abbey, Cabrerets and its 13th C castle… Step by step, the Lot reveals itself in the intimacy of its chapels, in the beauty of its stone. The silence of its paths, the shade of the tall trees which line the riverbanks are a clear invitation to contemplation. 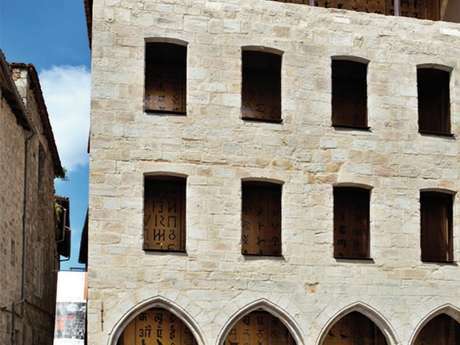 From Figeac, the gateway of this Via Podiensis in the Lot, down towards Moissac, the Lot reveals its "causses" (limestone plateaux), and offers up its heritage suffused with history, in perfect simplicity, with a graceful reserve which brought it recognition from Unesco. Its pilgrim way has been World Heritage listed since 1998. As well as architectural heritage, Unesco's recognition of the Santiago Ways took into account the formidable immaterial dimension of which they are the living, thriving support. The traditions, tales and legends which circulate along them, the solidarity and hospitality shown as you go from stage to stage, the sense of having surpassed oneself that walking to Compostela often engenders : all this makes the Santiago Ways into a living, lasting heritage, at the very heart of humanity itself. On your way ! Don't put the experience off any longer ! The mobile app "Chemins de Saint-Jacques de Compostelle en Midi-Pyrénées"
This is a tool designed to help all walkers to explore the area - ramblers, those seeking a physical challenge or pilgrims - and is compatible with smartphones operating under iOS and Android. 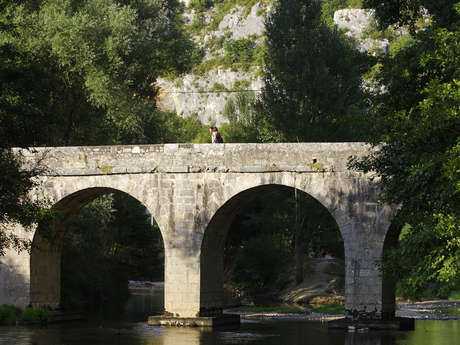 It features each of the three Santiago Ways crossing the Midi-Pyrénées region : the Le Puy Way, the Arles Way, the Piémont Pyrénéen (Pyrenean foothills) Way.